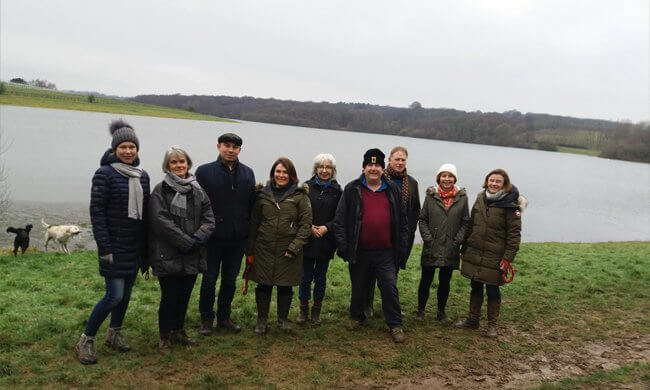 On Tuesday morning this week, members of The King’s Society and a number of their dogs, braved the cold and set out on a healthy seven-mile circular walk. Following cappuccinos at The Bell Inn in Ticehurst, the walk took in a long section of the Round Bewl Walk with great views across the water, up through Ketley Woods and over Dale Hill golf course. The biggest hazard of the day was the extreme mud but it was certainly a walk worth doing and conversations and laughter were in abundance. The King’s Society is a cultural, social and educational society for parents and friends of The School. Events are arranged to cater for all interests and the Society currently has over 300 members. They are a non-profit making organisation which exists solely for the benefit of its members. A new branch of The King’s Society has recently formed in Hong Kong.